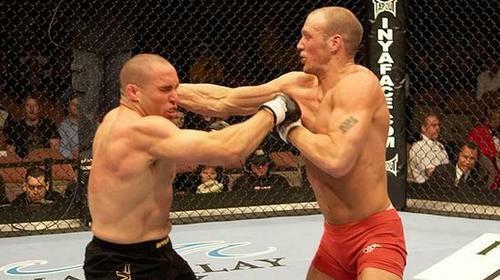 “Red, White & Blue” went to war with “The Great White North” inside the Octagon at UFC 58: USA vs. Canada. 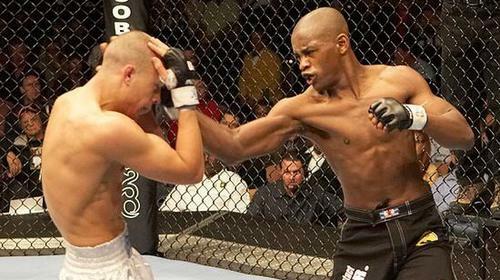 Each bout featured an American against a Canadian including the main event as UFC middleweight champ Rich Franklin took on David Loiseau. Rich Franklin vs David Loiseau UFC 58 Sat, Mar 4, 2006 (17:14) Rich Franklin put his UFC middleweight belt on the line against David Loiseau at UFC 58. 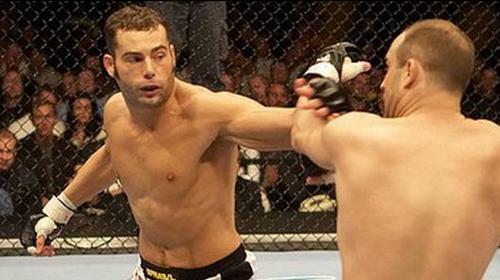 Mike Swick vs Steve Vigneault UFC 58 Sat, Mar 4, 2006 (10:32) American Kickboxing Academy’s Mike “Quick” Swick lived up to his monicker in UFC debut by scoring a 20 second knockout. 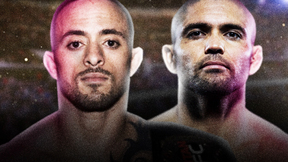 In Octagon appearance two, Swick would meet Steve “Lion Heart” Vigneault with an 11-5 record including 7 TKOs. 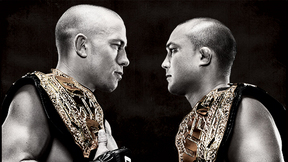 Georges St-Pierre vs BJ Penn UFC 58 Sat, Mar 4, 2006 (27:18) At UFC® 58 in March of 2006, former welterweight champion BJ Penn returned to the Octagon™ for the first time in two years, but he had a tough customer in front of him in Canadian star Georges St-Pierre. 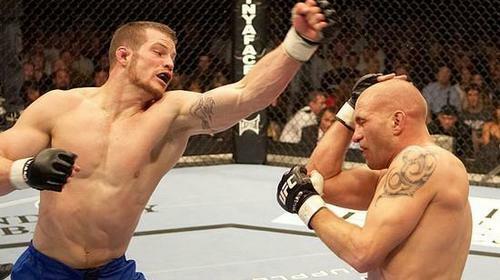 Nate Marquardt vs Joe Doerksen UFC 58 Sat, Mar 4, 2006 (24:19) New Bothwell, Manitoba’s BJJ blackbelt Joe “El Dirte” Doerksen was making his 4th UFC appearance against an Octagon second-timer in Nate “The Great” Marquardt, a 22-6-2 veteran of the Japanese MMA promotion Pancrase. Mark Hominick vs Yves Edwards UFC 58 Sat, Mar 4, 2006 (18:35) Canadian kickboxing stylist Mark “The Machine” Hominick joined the UFC on a four fight win streak heading into a clash with the highly-experienced, 30–8–1 “Thugjitsu Master” Yves Edwards who had not been beaten inside the Octagon in nearly 4 years. Sam Stout vs Spencer Fisher UFC 58 Sat, Mar 4, 2006 (25:20) Sam Stout and Spencer Fisher, who took the fight on very short notice, go the full 15 minutes in what many consider to be The Fight of 2006. 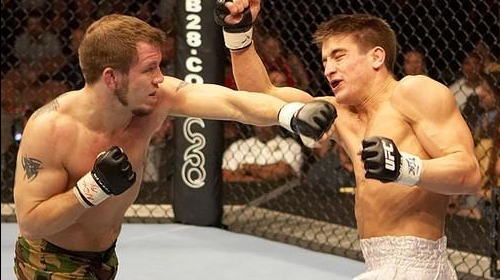 Jason Lambert vs Rob MacDonald UFC 58 Sat, Mar 4, 2006 (10:46) Undefeated Rob “Maximus” MacDonald with all of his wins via TKO made his first trek into the Octagon against fellow UFC first-timer in the 19-5 Jason “The Punisher” Lambert who was riding a 5 fight winning streak. 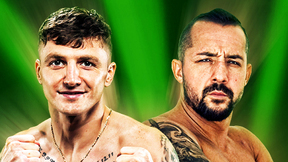 Tom Murphy vs Icho Larenas UFC 58 Sat, Mar 4, 2006 (23:58) There’s no better way to kick off a card than with two hard-hitting heavyweight as Icho Larenas with all of his wins via TKO scrapped with undefeated The Ultimate Fighter 2 alum Tom Murphy.